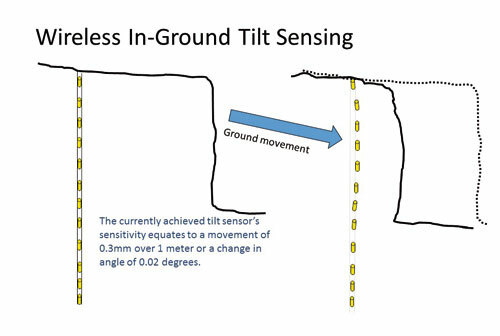 Elexon Mining has developed the Geo4Sight platform; a wireless system for subsurface monitoring in challenging geotechnical environments where the use of cabled monitoring systems is impossible, or where cables are at high risk of being damaged by moving ground. Elexon’s systems provide invaluable data that empowers mining companies to make well-founded decisions to improve safety, efficiency and resource conversion. Pore pressure has a significant impact on stability of slopes in rock and soil. Moreover, in the case of large open pits, it is usually the only property that be easily varied (after Geoff Beale et al, 2013). In the case of tailings dams, changes in pore pressure can contribute to failures with critical consequences. 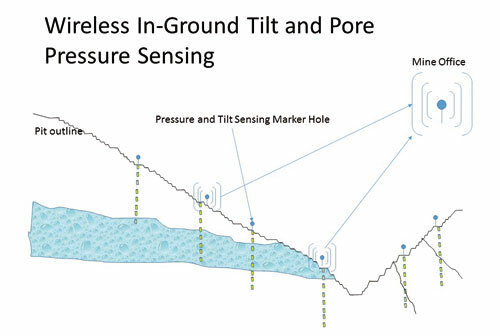 Given the impact of changes in pore pressure on ground stability, monitoring pore pressure is an important aspect of managing associated risks for the mine. The complexity of installing multiple cable-based pore pressure sensors in a single hole limits the number of sensors. Cable based instruments may be rendered inoperable by ground movement. Geo4Sight Pressure reduces the complexity of installing many sensors in a single hole. Geo4Sight Pressure Nodes also measure tilt and can be combined with Geo4Sight Tilt nodes in the same hole combining inclinometer and pore pressure monitoring in a single wireless system. < 30 bar the pressure sensing accuracy is 0.125% of full scale for ranges up to 30 bar and can stand an overpressure of at least 300%. > 30 bar the accuracy is 0.2% of full scale and can stand an overpressure of at least 200%. Monitoring can continue after cut-backs without the need for drilling and installing further instruments. Would you like to trial Geo4Sight At Your Mine? We’d like to engage with progressive mines and geotechnical engineers who are open to trying new technology that improves your mining outcomes. We’re offering the opportunity to work together on a trial of this new system, should site and circumstances be suitable. Click the ’email us’ button to get in touch, or visit our contact page for more contact details.